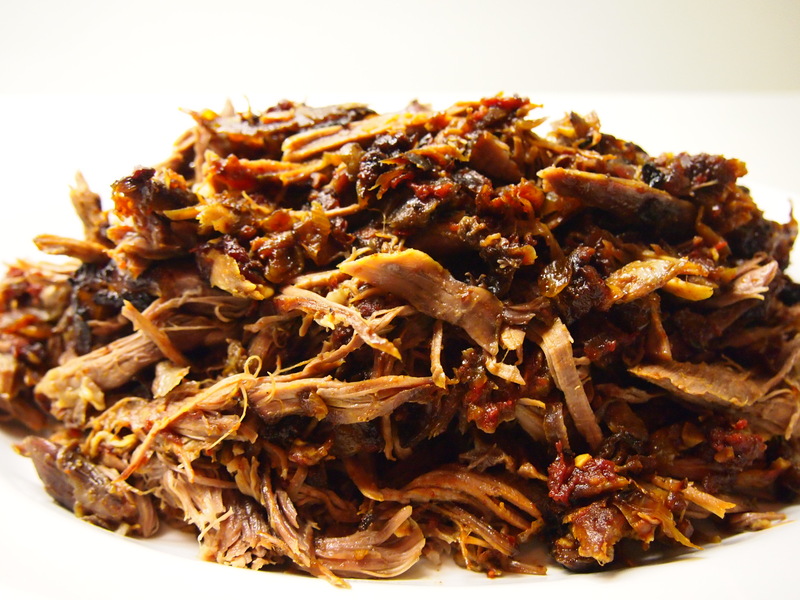 Pulled beef and pork are very popular Tex-Mex dishes in the States but I thought a pulled lamb would work equally well. Craving tacos and wanting a change from the usual mince mixture, I gave this a try. Lamb shoulder is preferable for this dish, a leg of lamb wouldn’t be as moist or pull apart quite as easily. This recipe takes a bit of time but it’s all hands off, once the lamb is in the oven there’s nothing much to do other than get the sides ready. 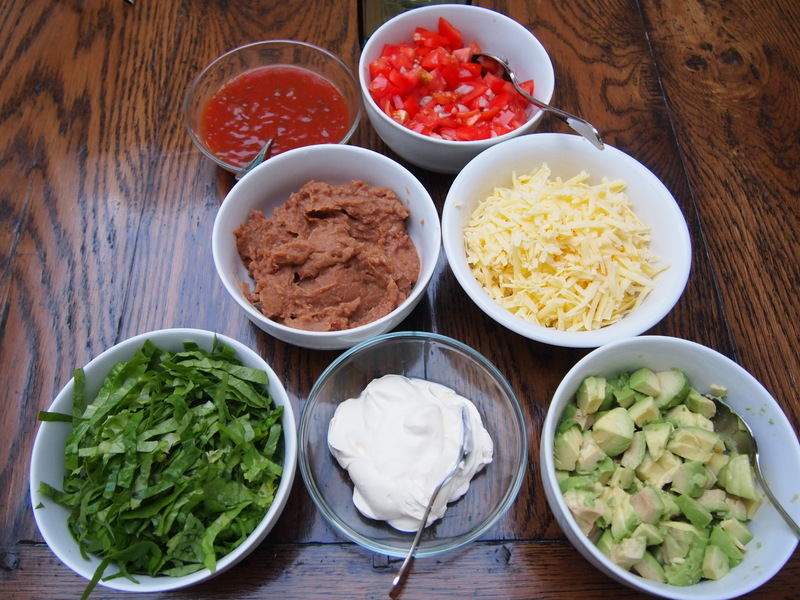 I used all the traditional taco accompaniments such as diced tomatoes, lettuce, grated cheese, salsa, avocado and sour cream. I also added a bowl of refried beans to the mix and it really complimented the lamb. So if you’re looking for a change from the mince you normally use in your tacos, give this recipe a try, you won’t be disappointed. Preheat oven to 170C. Trim the shoulder of lamb of any large fat deposits. Don’t go overboard with trimming the fat as you need the lamb to stay moist during the long slow cook. Sprinkle the lamb well on both sides with salt and pepper. Heat a roasting pan on the hob over high heat. Add the lamb fat side down and fry, no oil will be required, for a few minutes until the lamb is sealed and slightly golden. Remove and set aside. Add to the roasting pan the onions, garlic, tomatoes, stock, spices and a drizzle of olive oil. Season with salt and pepper, mix to combine and bring to the boil. Add the lamb back to the pan, fat side up and cover the roasting pan tightly with foil. Place in the oven for 4 hours, checking occasionally to see that there is still some liquid in the pan. If the pan is running dry add a little water. After 4 hours take the foil off the tray and lower the heat to 160C and cook for a further hour until the sauce is very reduced and the lamb is falling off the bone. If you find that the sauce is sticking and becoming too reduced, again add a little more water. 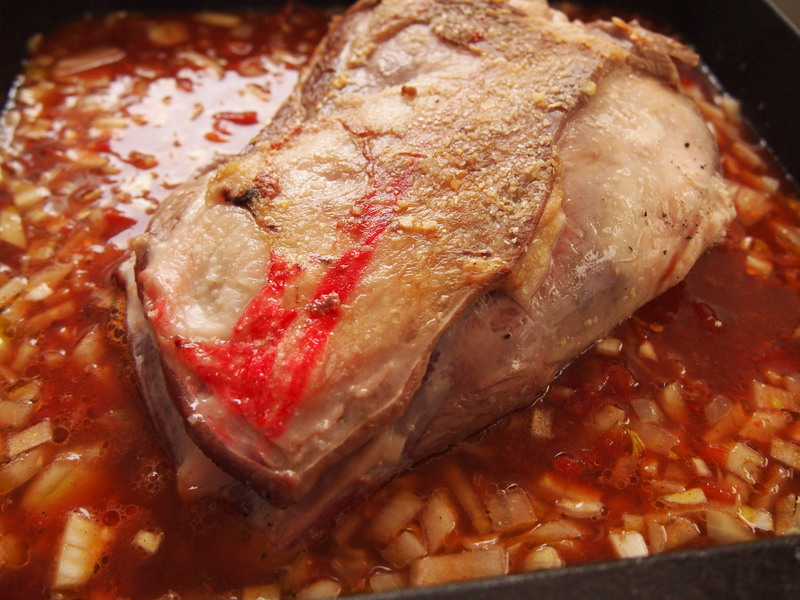 Take the lamb out of the oven and remove the bones, which will easily pull out. Using 2 forks shred the lamb meat, combing it with the sauce in the pan. Place on a large platter and serve with your favourite taco accompaniments.